Marie de France was bom in France but spent nearly all her life in England (she was rumoured to be Henry II's illegitimate half-sister). 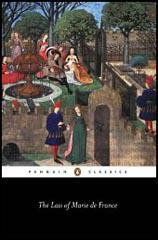 Marie de France's 12th century romantic adventures were so popular that they were translated into several different languages. Copies of her books have been found written in French, English, Old Norse, German, Italian and Latin. 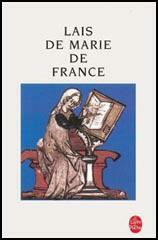 Marie de France died in about 1190. There once lived a rich man, old and ancient... he took a wife in order to have children... Because she was beautiful and noble he made every effort to guard her. He locked her inside his tower... He kept her more than seven years... she never left the tower, neither for family nor for friends... The lady lived in great sorrow, with tears and sighs and weeping; she lost her beauty, as one does who cares nothing for it. At night when the moon shone and her husband lay sleeping, she would often steal from his side; with her cloak wrapped about her she would go to the window, for she knew her friend would be at his. This is how they lived, gazing at each other for most of the night... She stayed so often at the window, and would get up out of bed so often at night her husband lost his temper, and more than once demanded to know the reason she rose this way and where she went. "My husband," replied the lady, "anyone who hasn't heard the nightingale sing has not experienced joy in the world. That is why I go to stand at the window... So much delight does it give me and so intensely do I long to hear it, that I cannot close my eyes to sleep." When her husband heard what she said, he laughed with angry contempt. An idea occurred to him to trap the nightingale. 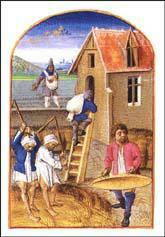 He ordered the household servants to work on traps, nets, and snares and to set them in the orchard... Eventually they captured the nightingale. They took it alive to the lord, who was overjoyed when he saw it. He went to the lady's chambers. "Madam, where are you? Come now, let us talk. I've caught this nightingale, the cause of your night long vigils. But now you'll be able to sleep in peace, as it will never bother you again." She asked him to give her the nightingale, but he... broke its neck with his two hands. He threw the dead bird at his wife so that the front of her gown was covered in blood. The lady took the little corpse, and softly wept over it... "Now I'll not be able to get up at night and stand by the window where I've been accustomed to see my friend."